I recently bought some cheap candles so that I could try and do some henna on candles. I have seen these online many times and thought I would try it too. It isn't really that hard once you know what you have to do. This is my very first attempt, I know I need a bit more practice before I get the design to look prettier. Maybe next time I will also add on some stick on jewels too insha'Allah. These are a great idea for a handmade unique gift for friends for Eid or any other occasion. Step 1) Prepare your work surface, I placed the candle onto a sheet of paper, which I could turn so that I could design all around the candle without touching it! You could use a turntable. 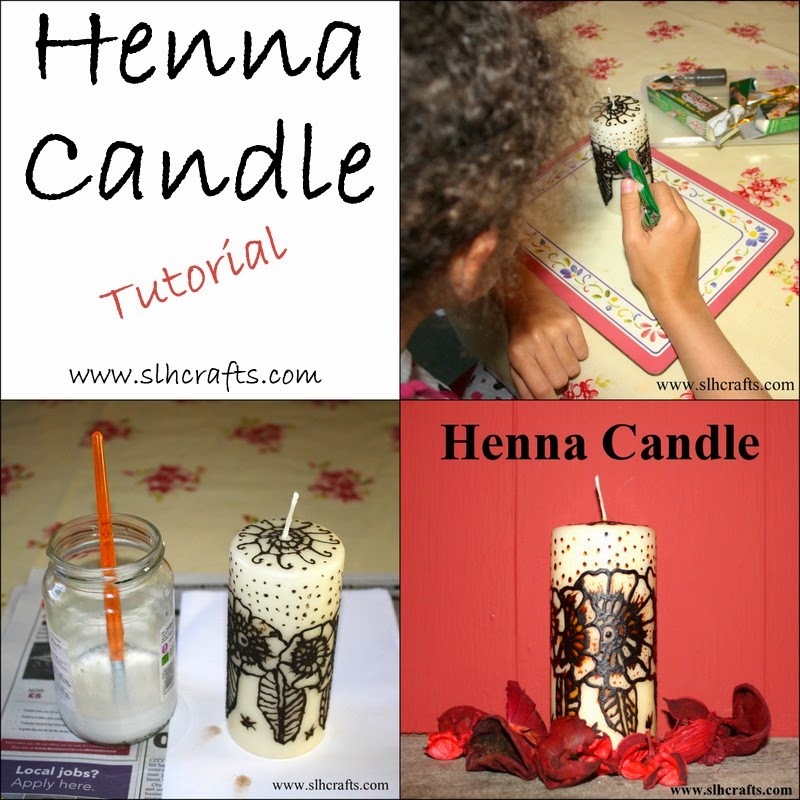 Step 2) Using the henna draw your chosen design onto the candle. Allow the henna to dry, this could take several hours depending on the henna. Step 3) Once the henna has dried you then need to give the candle a coat of Mod Podge, I actually make my own modge podge using PVA glue! 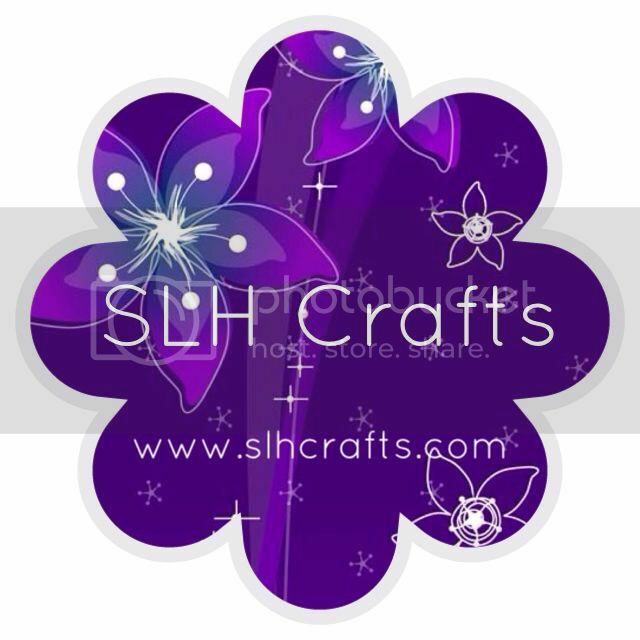 There are many tutorials online showing you how to do make your own. Some of my henna smudged when I did this as it was not quite dry but this actually gave it a bit of extra design. Step 4) If you have any stick on jewels you could stick these on once you have coated the candle with glue. You could actually place the stickers on first and then glue over them if you wish.